Hey guys welcome back to another Matt on the Box in a week in which we have a wide variety of programmes to cover but start with one which is all about variety. 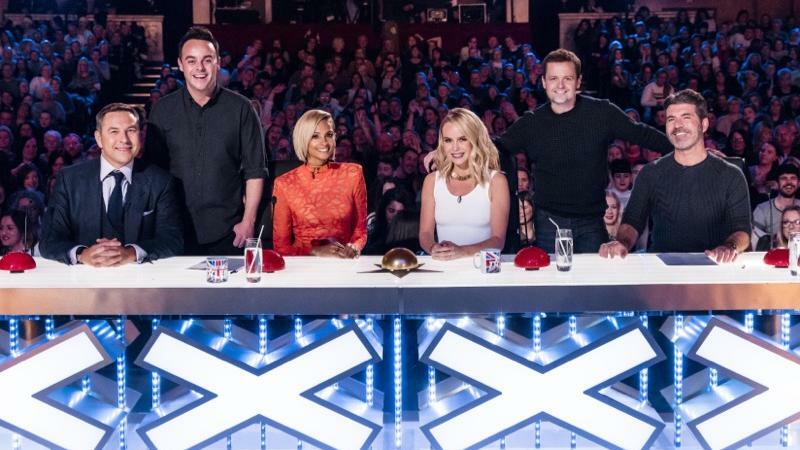 Yes Britain's Got Talent returned to our screens on Saturday night attracting an impressive nine million viewers all of whom are still gripped by the mixture of the good, the bad and the weird that Simon Cowell's most entertaining show has to offer. This series has been heralded as the show's tenth anniversary however as it's only the tenth series that's not mathematically possible and someone should really explain this to Simon Cowell. But pedantic notes aside this year's first episode contained the usual amount of rubbish acts, emotional moments and a don't try this at home style finale. As is often the case these days the opening started with staged conversations between acts in the holding area and a carbon-footprint bothering scene documenting the judges' arrival at the auditions. Another trope of the opening episode is that the first act has to be a bit rubbish and that was certainly the case with accordion-playing superhero Vitaliy who didn't bother giving his name and age before going on with his performance of 'Under the Sea'. Obviously Simon hated him which meant the audience loved him so when the other judges put him through to the next round and with that the annual pantomime began. I do feel that Britain's Got Talent is a programme that you shouldn't think too hard about as it is one that relies on audience manipulation. One positive this year was that the acts were more open about appearing on TV talent shows before such as Lucy who had been on the programme last year with another dog but this year appeared with the super cute Trip Hazard. Similarly the final act, sword-swallowing Alex Magala, admitted that he'd done several Got Talent shows before including winning the Russian version of the programme. Unfortunately that meant that his act wasn't that surprising for people like me who'd already seen him perform on America's Got Talent several years ago. In fact I didn't find his act all that entertaining despite the brilliant editing of the judges and Ant and Dec's reactions to his various stunts. Ultimately it's not a very varied act and I can see him running out of steam before we get to the grand final. That being said there was a lot to like about this year's Britain's Got Talent which did have its fair share of memorable moments. I personally felt the best act was the The Collaborative Orchestra and Singers, a sort of flash mob of musicians who appeared sporadically as their performance went on. But the most emotional moment of the night was reserved for the first Golden Buzzer of the series with twelve-year-old Beau Dermott impressing with her version of 'Defying Gravity' from Wicked. I have to say I'm not normally a big fan of the child performers on BGT, especially the precocious comedian who was shown before Beau, however the young singer appeared to be lacking in confidence until she hit her first note. You'd have to have a heart of stone not to at least feel some sort of emotion when Beau's mother ran on to congratulate her daughter at the same time Amanda put her straight through to the semi-finals. I honestly felt that the episode as a whole would've been better had Beau gone on last as I felt her performance was on the whole more memorable than Alex's. Although the acts were on the whole consistently entertaining, for one reason or another, I do feel the longevity of Britain's Got Talent can be attributed to the chemistry between the judges and the amiable hosting style of Ant and Dec. Ant and Dec deserve a lot of credit for lifting the overall entertainment value of the show and I do feel that if the Geordie duo ever decided to leave ITV the channel would suffer as a result. Their best moments this episode including Dec's reaction to impressionist Darren Altman's mimicking of his voice and the boys' genuine terror when seeing a frankly horrifying belly-dancing trio on stage. Meanwhile the interplay between David Walliams and Simon Cowell aired on the right side of annoying for now at least with hilarity ensuing when the former dressed up as the latter. If I was knit-picking then I would say the female judges didn't add much to the overall proceedings although at times I was distracted by Alesha Dixon's weird hair and Amanda Holden's weird face. Overall though Britain's Got Talent was back with a back and in ratings terms totally demolished The Voice UK final on the other side. Whether Simon Cowell's variety show will be able to maintain this consistency over the rest of the auditions remains to be seen but for now at least I would say that Britain's Got Talent is one of the only ITV formats that doesn't feel tired. 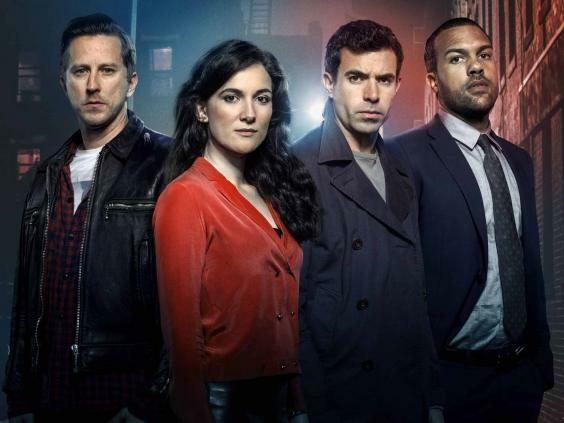 We turn to Sky for the rest of this week's new offerings starting with Sky One's big shiny new ten-part drama The Five. 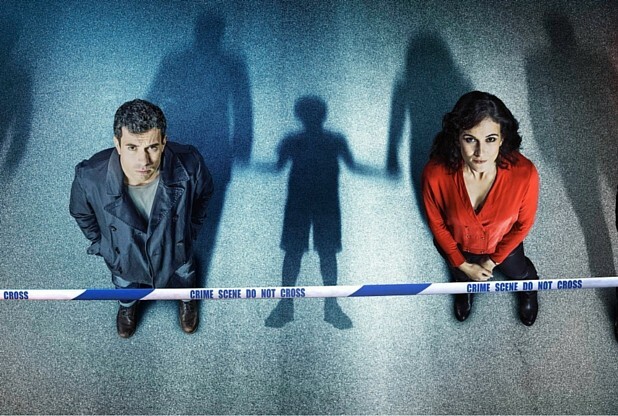 If you believe the marketing then the big hook of The Five is the fact that it comes from the mind of American crime novelist Harlan Coben however a quick look at the credits sees that this first episode was written by Danny Brocklehurst. The Five of the title refers to the five youngsters in the opening scene who go into the woods with one of them never being seen again. That one is Jesse, who is cast aside by the others for being too young and whose disappearance is still effecting those he left behind twenty years later. This includes Mark (Tom Cullen), Jesse's brother who is a hotshot lawyer albeit one whose personal life leaves a lot to be desired including his relationship with a married colleague who has gone back to her husband. Also part of the party was Slade (Lee Ingleby); a fun-loving social worker who is everybody's friend but who seems to harbour some dark secrets. Then there's police officer Danny (O-T Fagbenle) who early on discovers some DNA at a crime scene that seems to belong to Jesse. This new piece of evidence then leads the three men to reunite with the only girl in the group Prue (Sarah Solemani) who at some point left the UK behind and went to live in the States. After establishing the key characters The Five then pursues a number of plot lines one involving Danny's investigation and the other about Mark and his family attempting to live with this new information. Mark's relationship with Prue is another interesting avenue that the writers are attempting to touch on although I'm most intrigued about why she didn't inform the guys that she'd returned from America two years prior. Then there's the character of Slade, who is the one member of the gang who we know the least about apart from briefly seeing him at work with some of his young charges. Slade is presented as the joker of the group but via flashbacks to the day of Jesse's disappearance coupled with a shocking final scene, we are led to believe that he may know more than he's letting on. Furthermore we are given the impression that several people who went missing years prior are being released and that may be why Jesse's DNA has suddenly turned up at a crime scene all of a sudden. For a drama that opened with a standard hour-long episode, The Five certainly tried to cram a lot of plot into a small space. In a way this was good as the drama mostly held my attention for its time span as Coben and Brocklehurst always kept you on your toes. What I liked was how The Five wasn't just a standard police procedural but instead focused on how a disappearance can affect the lives of the people who know them for so long. Certainly this was the most interesting theme of The Five and some of the most poignant scenes saw Mark's mother (Geraldine James) and Danny's father (Don Warrington) the latter of whom investigated the disappearance still dealing with the loss. Unfortunately I didn't real feel anything for the majority of the leads all of whom felt like caricatures and this to me felt more like the fault of the writers than the actors. As a lead character, I found Mark to be a little dull and so brooding that it was hard to care about anything that he really did. It did seem as if there had been an attempt to make Danny something more than just a clichéd police officer character but I feel that all the subtlety was lost thanks to the one-dimensional performance from The Interceptor's O-T Fagbenle. The most underwritten character of the bunch has to be Prue who I felt was just the token woman of the piece and I think that the audience was given very little information about her in this first episode. In fact Prue is little more than a character for Mark to pursue despite the fact that she's in a happy marriage and has a daughter to care for. The only hope for The Five currently lies in the character of Slade who is brought to life beautifully by Lee Ingleby who in my opinion delivers the best performance of the ensemble. Slade is a multi-dimensional character who we've only just begun to get to know and he to me would be the only reason to carry on watching The Five. Aside from a lack of interest in the characters I would say The Five suffered from being overly-stylised and I found the way it was shot to be quite alienating. Add to that the score which did little to enhance the mood but instead tried to get the audience to react to certain revelations in a particular way. Overall, although it contained a promising concept and a great central cast, I feel that The Five has sacrifice plot over fully-rounded sympathetic characters. Whilst I am going to try one more episode before I give up completely I get the feeling that I'm really not on board to watch all ten episodes of a drama that feels like a real missed opportunity. 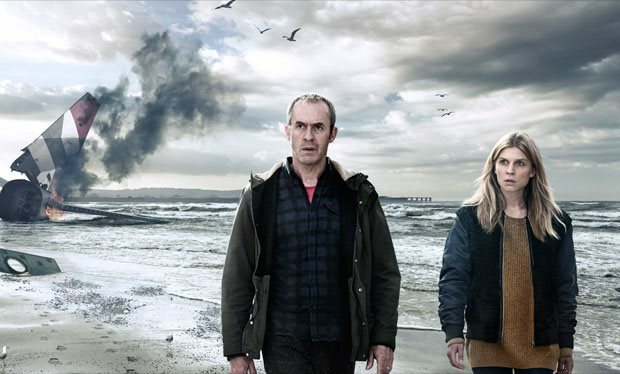 Turning over to Sky Atlantic now we find the second series of transatlantic drama The Tunnel, which was delayed slightly following the tragedy in Belgium last month. In all honesty I only watched the first episode of Sky's adaptation of Nordic Noir hit The Bridge primarily as it had far too much in common with the Scandinavian original. However I was pleasantly surprised on how much I enjoyed the first instalment of series two, which follows a completely new storyline that separates itself from The Bridge. This time the series initially focuses on the kidnap of the parents of a young girl which occurred during their trip in the channel tunnel. The young girl, who is obviously in shock, is taken to the protection unit under the care of Karl Roebuck (Stephen Dillane) who has been transferred from CID following the death of his son. Roebuck's path soon crosses once again with that of Elise Wassermann (Clemence Posey) who has journeyed from Calais to investigate the disappearance. Just like the Nordic original, The Tunnel also includes several storylines that don't initially seem to have a connection but by the end of this opener all tied together in some way. The most disparate of these initially seems to involve Emilia Fox's character who we can tell is the villain of the piece almost instantly. It seems that her character has a business involving arranging marriages of convenience before completely abusing the young Eastern European brides and attempting to finish them off. There's another twist in the tale later on when we discover that the husband from the kidnapped family was actually behind the kidnapping itself and doesn't really hesitate in killing his wife. Elsewhere we are told the story of a French judge who is in England to be awarded an honorary doctorate for all of his work campaigning for human rights. All of these stories converge in a brilliantly orchestrated set piece which is one of the best things I've seen in TV all year. It involved the eventual crashing of a plane into the channel, a scheme that was overseen by the aforementioned husband who was able to gain controls of the aircraft. The final shot of the camera panning across the channel surveying the combination of plane debris and dead bodies was both shocking and beautiful in equal measure. As somebody who watched the first two series of The Bridge I was able to sort of ascertain what had happened in The Tunnel to make Karl drop out of his position at CID and take a role in a less high-pressure unit. Additionally it was easy to see that Elise was being positioned as the Saga Noren of series two, somebody who is a little bit more aware of how to react around people but still unable to understand people's humour. Unburdened by having to adapt an already well-known TV franchise, it seems that writer Ben Richards is having fun with both the characters and creating a new multi-layered plot. Something I quite liked about having The Channel Tunnel as a setting was the claustrophobic nature of the structure which is employed to full effect in the scene involving the initial kidnap. The use of the sense of entrapment, coupled with the loss of light, gave an eerie quality to this scene which I quite enjoyed. I also felt that Richards thrived during the scenes involving Karl and Elise with their conversations being some of the most interesting scenes of the episode. I particularly liked their first meeting where Karl was theorising whether Winnie the Pooh was said the same way in English and French, a fact that Elise soon corrected him on. I do feel to an extent that Clemence Posey has been climbing an uphill battle in trying to make Elise feel like a different type of character to the wonderful Saga Noren. While she certainly has a similar manner, it at least seems that Posey has been given a little bit more leeway to make Elise her own character and I especially liked the scenes in which she attempted to praise her colleagues when they'd done something well. Stephen Dillane is equally fine as he gives a rather understated turn as the grieving Karl who is trying to put a brave face on things. Of the supporting cast I found Angel Colby to be oddly moving as Karl's wife who was trying to help her husband overcome what had happened to him last series whilst at the same time dealing with her own grief. Praise must also go to Emilia Fox who seems to be having a whale of a time playing the bad guy for once and her chain-smoking antagonist certainly makes an impression in the first episode. Although it's not perfect, I was definitely gripped by the first episode of The Tunnel's second series and I would certainly watch another episode of this over The Five as it combined memorable set pieces and shocks with characters that you could actually care about. But as much as I enjoyed The Tunnel it's fair to say that the best drama still on TV at the moment is the outstanding third series of Line of Duty which aired its fourth episode this week. There's been so much happening in this series since it started that it's hard to know where to begin but I feel the biggest talking point has to be the return of Lindsey Denton (Keeley Hawes). Last week's episode saw Lindsey trying to deal with her release from prison and her subsequent employment as a cleaner in a supermarket. Creator Jed Mercurio has crafted such a brilliant character in Denton that I'm not surprised he wanted to bring her back as all of her scenes in the last instalment were instantly memorable. From attacking her probation officer when he tried to sexually assault her to attempting to get an apology from AC-12, Denton was absolutely great in this episode and praise must also got to Keeley Hawes who is fantastic in the role. I've really enjoyed the way in which this series' story has been laid out as it has differed from both of the previous runs. Instead of focusing on one specific investigation, Line of Duty's third series has gone in a number of different directions with all roads leading back to Cottan (Craig Parkinson). As AC-12 learn that it was the mysterious Caddy who was pulling the strings of Hari (Arsher Ali), Cottan has gone to great lengths to divert the suspicion from him. His latest strategy is to get everyone to suspect Steve (Martin Compston) of being behind most of Line of Duty's big cover-ups which isn't hard when he is keeping things from his AC-12 colleagues. Another great aspect of this series is the way it isn't afraid to tackle difficult issues such as the child abuse storyline which has built up over the last couple weeks after Steve discovered the connection between the gone-to-soon character of Danny Waldron and the Sandsview Boys Home where the abuse took place. Praise must also go to Jonas Armstrong for his very sensitive portrayal of one of the abused boys now trying to live a normal life but struggling to do so. I'm just amazed at how Mercurio has managed to weave together storylines from the last two series with new plot strands and characters and for it all to work so well. 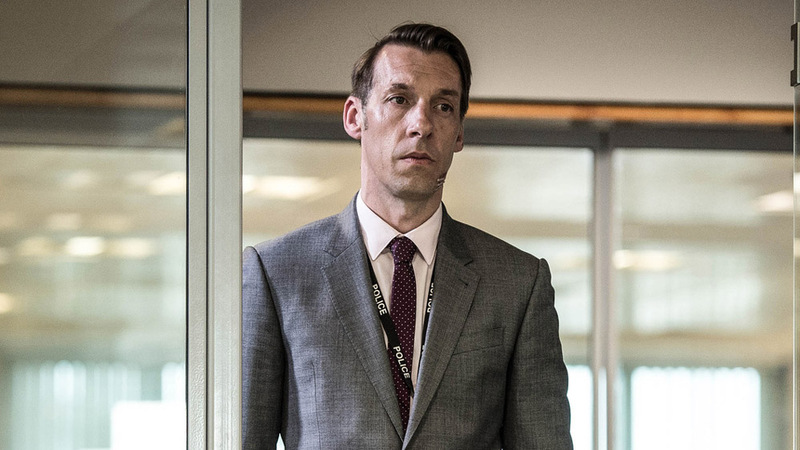 I can't say enough in Line of Duty's favour and the only thing I'm even mildly disappointed about is the fact that there are only two episodes left but rest assured that I'll be bringing a full review of that extra-long final episode in a fortnight's time. But for now that's your lot remember to follow me on Twitter @mattstvbites and I'll see you next time.